I 100% applaud the people of Nevada. The first step to creating better government is to stop accepting the crap that the two self-serving parties keep trying to shove down our throats. Nevada, you rock! Starting with something quite serious today. Marine Sgt. Andrew Tahmooressi is being held in Mexico on weapons charges. On March 31, 2014, he was attempting to meet his friends in San Ysidro for dinner, and he missed the exit, landing him at the Mexican border. This is not uncommon. With no chance to turn around, the first thing he told the border officials was that he wasn’t trying to enter Mexico, and that he was just trying to turn around and get back to San Ysidro. He was completely up front about the three legal firearms in his possession. These facts are not disputed. He was arrested and tossed into prison in Tijuana. He has recently been relocated to a prison in Tecate. Sgt. Tahmooressi served two deployments in Afghanistan, was honorably discharged, and was being treated in San Diego for PTSD. Unfortunately, as of June 19, in spite of numerous petitions and a media outcry, our administration has exhibited virtually no interest in bringing back our Marine. For more information, see Why is a US Marine in a Mexican Jail? The Case of Sgt. Andrew Tahmooressi and US Marine Sgt. Andrew Tahmooressi Stuck in Mexican Jail on Gun Charges. I’m not big on petitions, but I did sign this one. Demand Release of U.S.M.C. Sgt. 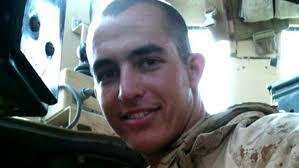 Tahmooressi Suffering with PTSD from Mexico Imprisonment. We can also help on social media by using the hashtag #bringbackourmarine to keep it trending and raise awareness that this travesty has occurred. And on lighter notes . . .
5 Things I Learned as an Anonymous TSA Blogger by Jason Edward Harrington. Note of Interest: I had a cool weekend at the Denver Comic Con. DD and I got to hang out with Human Echoes podcaster Tony Southcotte and NYT Bestseller Ellie Ann, as well as friends and fellow authors Juliette Terzieff and Jinxie Gervasio. Also had a nice surprise in the form of dinner with Michael Rooker. 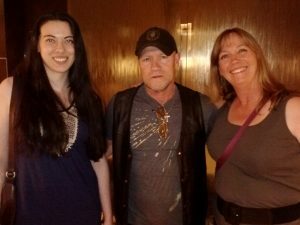 He’s not just Merle Dixon, zombie killer from The Walking Dead, but also a Southern gentleman and a lovely man with whom to spend an evening. Be sure to catch his upcoming movie, Guardians of the Galaxy, in which he plays bad guy Yondu. We lost a radio icon this week. Casey Kasem, the voice of Shaggy on “Scooby-Doo” and the DJ who gave my generation America’s Top 40 Countdown each week has passed on to that Great Sound Booth in the Sky. Jenny Hansen of More Cowbell called my attention to this fitting tribute, In Honor of Casey Kasem, Counting Down Baseball’s Best Songs. And for Game of Thrones fans, George R.R. Martin is now on Twitter at @GRRMspeaking. We fans have a message for you, George . . .
All the best to all of you for a week of satisfying choices. Yup, none of these would definitely be an improvement over many candidates these days! Thanks for the shout out, Piper, and for the mention of our Summer Book Crush. You bet! And I’m with you. I’ll take None of These over pretty much everyone out there. Also? HODOR! HODOR FOR SENATE! LOL. He’s got my vote! I wish we had ‘none of the above’ in New Zealand. If you vote, you have to vote for SOMEONE. It’s why the McGillicuddy Serious Party used to field a following (our version of the UK’s Monster Raving Looney party – I don’t know if there’s anything like it in the US…). We have a general election in September and the mud-slinging has already begun among the parties. Of course I mustn’t grumble – NZ was set up as a democracy from the outset & that’s a rare luxury, even if it has attracted clowns these days, so I sort of feel obligated to vote (here in NZ you’re legally required to be on the electoral roll, but don’t have to exercise the voting right). I understand the frustration about voting. Then I think of all of the people who fought and died for my right to vote, and what’s most important to me is how I would be disrespecting their sacrifices if I did not participate in the system. Since you’re required to be on the electoral roll, are you also required to declare a party affiliation? We’re not – I gather it’s different from the US in that sense. Some people always vote a particular way, of course, and it’s possible to be a party member, but the system itself doesn’t require affiliation. The key thing here is participating in the democratic system, as a principle. Ours is a modified Westminster system (it’s not bicameral). And as a system, democracy is SO important! These days I think people forget that it was on the way out as a major world system in the early twentieth century in the face of totalitarianism (undiluted evil in two flavours – fascist dictatorship or communist dictatorship). Democracy won, luckily… and NZers usually don’t realise how lucky we are to have been set up with one from the very beginning, by design – the specific step was the Constitution Act of 1852, which George Grey, the Governor, was told to implement by the Colonial Office. Very cool. Different from the US in that the US is a republic. We are not required to declare a party affiliation when we register to vote, though it is encouraged in my state. They can encourage all they want. 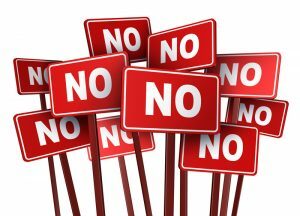 I will remain “unaffiliated” until there is a party worth joining. I cannot decide whether this video or the Honest Trailers one is my favourite or the more accurate description of GoT. And I wish we’d had a valid “none of the above” option in our recent elections. I hear you. Someone should also teach them that distinction between governing and ruling. Very few of them seem to get that. A bunch of people over here ran a campaign that voters should spoil their votes, rather than abstain, if they didn’t know who to vote for. It was intended to send a message, but it has little effect as spoilt ballots are not considered in the final count. What does send a message is that our total voter turnout has dropped from 80% in ’94 to 55% this year, but none of the multitude of parties seem to notice that. To me, decline in voter participation is a scary thing. It’s a form of no confidence vote. And who can blame people for that? The problem is that it opens people who “just want change” to supporting every charismatic, self-serving idiot who comes along. We actually got a few of those now in parliament, spouting populist ideology without having any clue what they’re actually saying and oblivious to the consequences of their words and actions. And obviously the media clamours to give them as much exposure as possible while the serious issues fall by the wayside. Exactly. That’s an excellent description of what has happened here.